Exclusive Interview: "I was pleasantly surprised by the amount of training that was on offer." Trudi Gladwin worked as a Legal Secretary in the City before taking a career break after having her second child. During this time Trudi wanted another job that she could fit her home life around - giving her time to be with her young family while also having flexible working hours. A friend mentioned Tumble Tots as a franchise opportunity that might fit what Trudi was looking for and it was the perfect match! 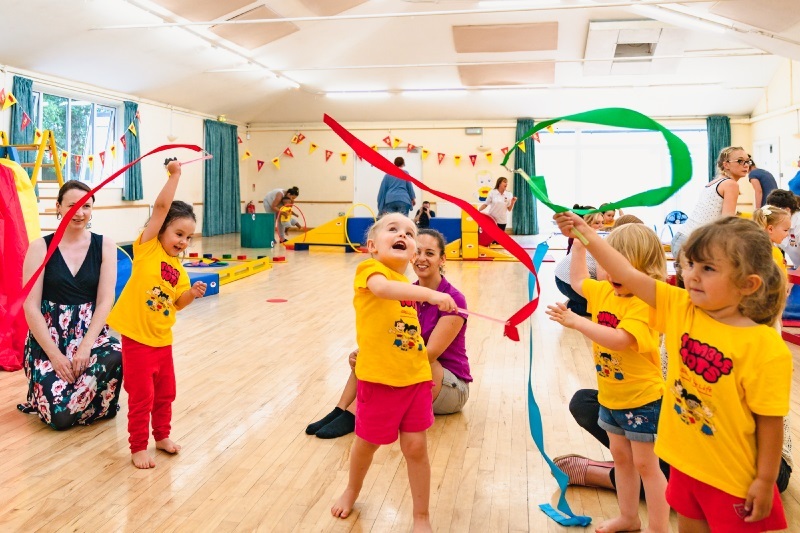 Learn more about Trudi's transition from the City to running her own franchise with Tumble Tots, and the franchise opportunties available for you! 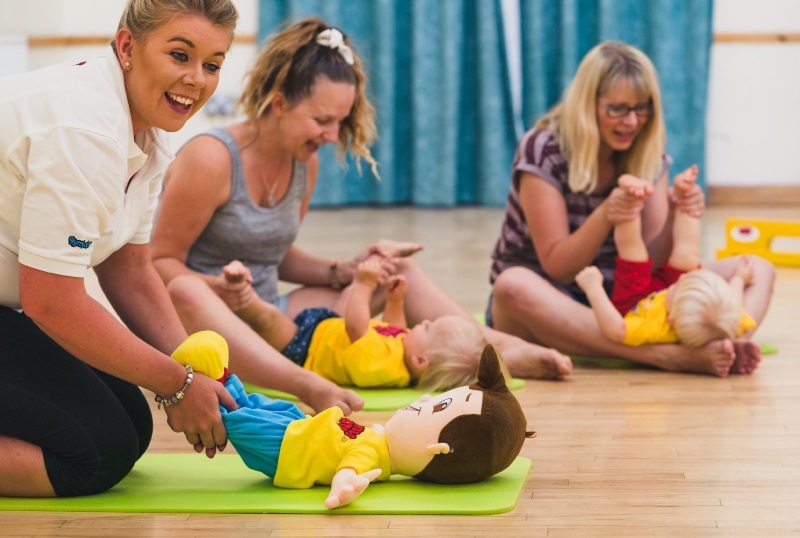 If you are looking for an established and highly reputable children's franchise business, as one of UK's leading children’s physical learning programmes, Tumble Tots should be your number one choice. 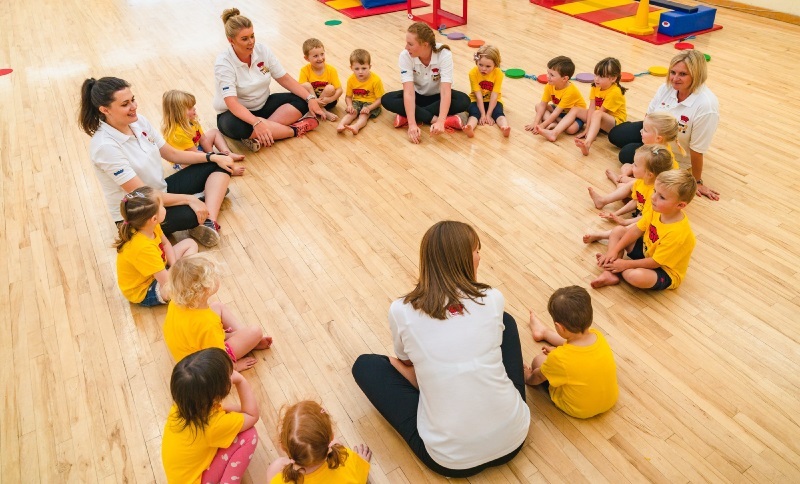 Our success has been built upon a strong foundation; founded by Bill Cosgrave in 1979 , former coach for the British Olympic Gymnastics team, the Tumble Tots programme helps children develop their motor skills of balance, co-ordination and agility during their formative years. Activities within our sessions help with brain development, building confidence, as well as social and language and listening skills. Since its inception, our franchise network has expanded into over 400 UK-based centres operated by around 80 franchisees. However, many more children could benefit from our programme; therefore, we are currently seeking like-minded individuals to join our close-knit family and part of our success story. At this point in your franchise journey, your research will be showing you that it is crucial to choose a thoroughly tried-and-tested, ethical business model, where the Franchisor provides on-going training, support and a comprehensive franchise package. With Tumble Tots, we offer you this and more! Our franchisees don’t just invest in a franchise business that is financially rewarding! By providing a highly acclaimed and beneficial service to local communities, franchisees are also personally rewarded too! There is nothing better than seeing the children benefit from stimulating and exciting sessions. The initial investment of a Tumble Tots franchise is approximately £14,000 plus working capital and a vehicle. However, bear in mind that most major banks may fund up to 50-70% depending upon your financial history. And much more…complete the short form below to receive our prospectus. With Tumble Tots you are in business for yourself but not by yourself. Our dedicated team of support staff provide franchisees and their staff with in-depth initial training. The initial training covers, instruction techniques, lesson plans and much more. Additionally, you would be provided with regular on-going training and offered refresher courses and seminars throughout your time as a franchisee, to ensure that you receive the latest in business and programme developments. In addition to this, franchisees can rest assured that they have the full support of experienced and qualified Tumble Tots personnel. Tumble Tots are with you every step of the way – your success is our success! “It has been a rewarding experience so far and one I am glad that I decided to take. Things have not been easy with the economic climate as it has been recently, however it has made me realise you get out what you put in and with hard work you can achieve your goals. I have had good advice and support form Tumble Tots head office and this has enabled me to keep a strong business through tough times. I hope to continue to grow the business over the next few years, increasing numbers in existing classes and opening new ones”. Previous experience working with children is not essential as full training and support is given. Primarily we are looking for individuals who aren't afraid of managing a team, and interacting with parents and children. If you are interested in running a highly rewarding children-centred business, we would love to hear from you. By filling in the form below you will be able to receive a copy of the Tumble Tots prospectus.